Can Forster make British luxury simmer like Bimmer? As CEO of India's Tata Motors, Carl-Peter Forster no doubt will focus intently on Tata's Jaguar Land Rover unit. But Forster, 55, won't be the first BMW-trained German executive to run these two quintessentially English luxury-car brands. A decade ago, Wolfgang Reitzle gave it a shot. In 1999, Reitzle went to London to head Ford's Premier Automotive Group, which included Jaguar, Land Rover, Volvo and Aston Martin. He had been BMW's second in command and was widely credited for product advances in the 1980s and 1990s. But Reitzle -- today head of the German industrial group Linde -- failed to inject much BMW magic into Jaguar and Land Rover, which lacked BMW's brand status and had to fight for resources inside Ford. 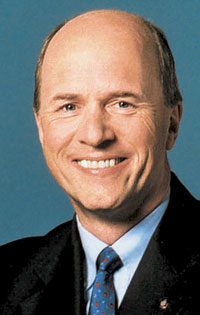 Forster spent 13 years at BMW and wound up as manufacturing chief on BMW's management board. Then he joined General Motors in 2001, stepping down last November as GM Europe president. Now that he has succeeded Ravi Kant as head of Tata Motors' global and domestic operations, can Forster do what Reitzle could not at Jaguar Land Rover? Maybe. Reitzle went to Ford directly from a long career in the rarefied world of German luxury-car manufacturing, and Ford proved to be a frustrating experience. But Forster, the London-born son of a German diplomat, has obviously picked up plenty of experience outside the BMW bubble.